Rated at 750 lb-ft of torque to the tire!! New for 2016- RPS's Carbon clutches are the first and only clutches to use a carbon friction disc with a marcel spring for factory smooth engagement. New Product for 2016!! - RPS's ST-Full Carbon clutch is the last step up in the Street Twin family. 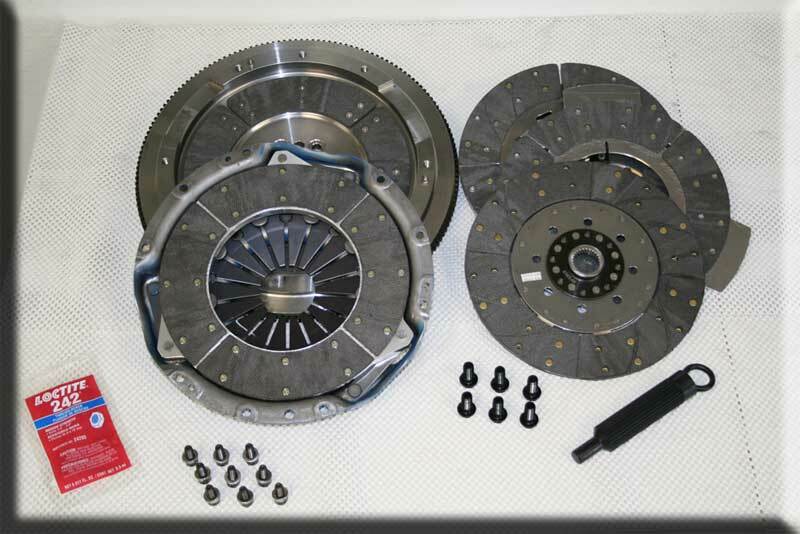 This is a full carbon clutch featuring a full carbon floater plate and two full carbon discs. The ST-Full Carbon clutch also has an aluminum pressure plate which lowers the weight by 6 pounds. Our competitors only use organic facings with a heavier cast iron pressure plate. RPS's ST-Full Carbon clutch is just like our Billet Cover (BC2) but at a lower price. The only difference is the Street Twin cover vs the Billet Cover.